I’ve never been to the World Economic Forum in Davos, but Nick Paumgarten from the New Yorker has, and in the most recent issue he laid out his view of the world’s most famous executive conference. And you know what? It sounds a lot like South by Southwest Interactive, which, for the last decade or so, I have attended — whether I like it or not, since it’s in my backyard and everyone I know hits me up to crash on our floor. At SXSW, people will spend weeks across every conceivable social network convincing you to come to their panel (and, thus, justify the cost of their attendance). Just don’t expect those panel pimps to return the favor. I meet a good percentage of people who never go to any of them (aside from whatever panel brought them to Austin in the first place). Looks like Davos is the same way. The conversation from every party, panel and pathway to and from SXSW boils down to this: “What are you doing next?” The obsessive quest to attend the next hot (fill in the blank) is exhausting — and almost laughable if people weren’t so stupidly serious about it. The sense that the grass is greener even influences apps heading into the event, where polls, predictive apps for parties and even the insane use of group texting, as happened last year, all help play into what I think of as the anti-Zen of attending a conference. As for many industry events, people hit SXSW because they can catch in one place a huge subsection of the corporate, media and venture capitalists that they need to talk to. SXSW has grown in the last few years from having a very small venture capital and big corporate presence to almost being overrun by big-name businesses sponsoring parties. And the VCs? Back in 2004 or 2005 a few showed up, but since about 2009 they are everywhere (except at the panels, see point 1) searching for the new hotness (see point 2). It’s just like high school! 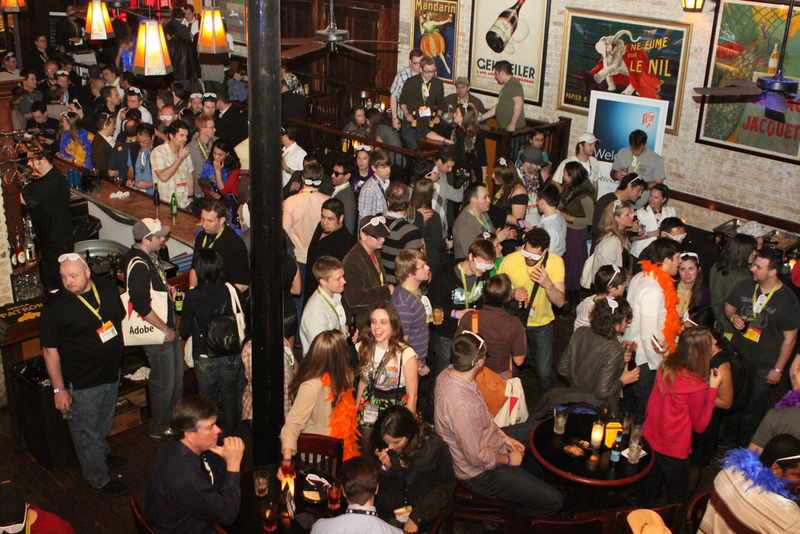 SXSWi has gotten so large in recent years that it now has separate venues for media, tech, film and a variety of other tracks at the event. What was once a decently sized show in the convention center has sprawled to 15 venues around Austin, which requires the use of a shuttle to get around. So like tends to stick with like. Which is a shame, because it’s when different groups interact that the most interesting events occur. Thankfully, there are still the parties. And finally, here’s why SXSW is still worth attending. Davos may cater to the financier and business set, but SXSW Interactive is all about the geeks: the more into robots, programming or something equally esoteric, the better. I’ve sat through some hard-core nerd panels and seen some fantastic after-hours displays of geekitude. The conference also embraces new technologies and encourages participants to contribute. This can be beneficial, such as taking questions via tweet, or it can devolve into a mob mentality that’s ugly to see. But for now, SXSW is still about the web, and it takes the principles of interactivity and geek worship seriously. While I’ve never been to Davos, I’m willing to go all-in at the baccarat table that the Swiss Tex-Mex won’t hold a candle to the creamy jalapeno sauce at Chuy’s, the Mexican martinis at the Cedar Door or the mole sauce at El Chile. Actually, if you’re coming from out of town, forget that last one. I want to eat there next week.